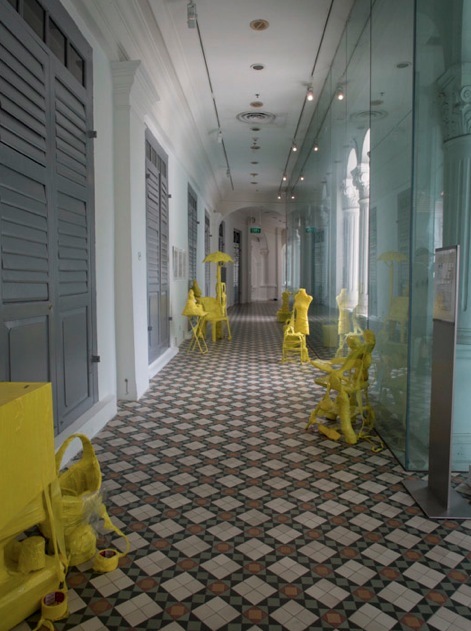 It has taken me a long time to sort my pictures from Singapore… and this post is long-overdue, especially as the amazing Singapore Art Biennale 2013 is closing today! So this was almost my last change to write about this fantastic event. Earlier this year I spent five days in Singapore, a mix of work and leisure. Given that it was rainy season, and very wet and humid, it was a good opportunity to go and visit some museums. I had the SAM (Singapore Art Museum) on the top of my list, so that was the first one I visited. The building that SAM occupies used to be the St. Joseph’s Institution building. It was restored and opened in 1996 and is an amazing space. It is very central, close to Singapore’s major shopping district and Waterloo Street Arts Belt, but it spacious and if you sit inside one of its courtyards, it can be very quiet. 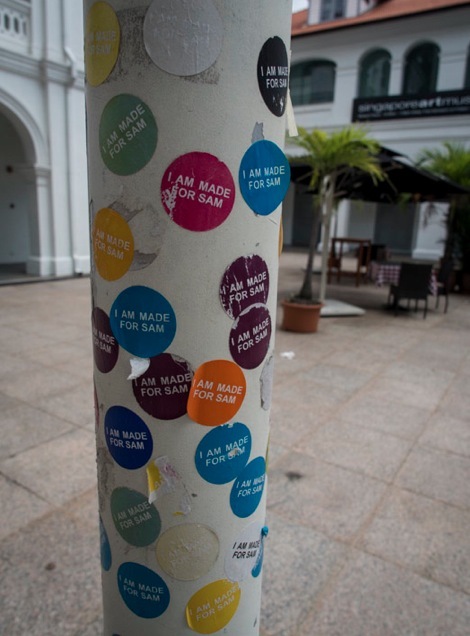 SAM’s galleries feature paintings, sculptures, and installations from its permanent collection of Singapore and Southeast Asian modern and contemporary art as well as touring shows or several works of the Singapore Biennale. 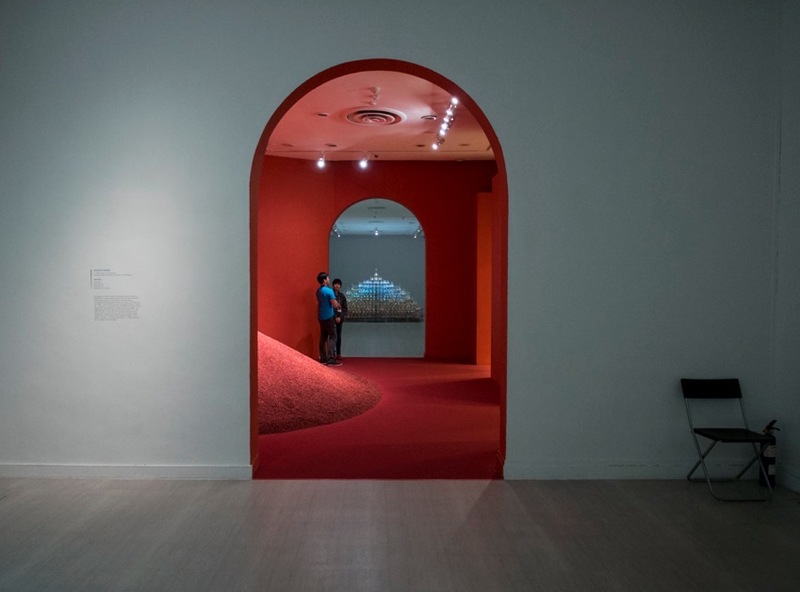 What is the Singapore Biennale? The Singapore Biennale was established in 2006 as the country’s pre-eminent platform for international dialogue in contemporary art. It ran in 2006, 2008 and in 2011. The theme of this year’s show, the 4th Singapore Biennale, is ‘If the World Changed’ … an invitation to respond to and reconsider the world we live in and the world we want to live in. The show featured 82 artists from the region and beyond. It was truly amazing and I am so happy that I managed to visit it! 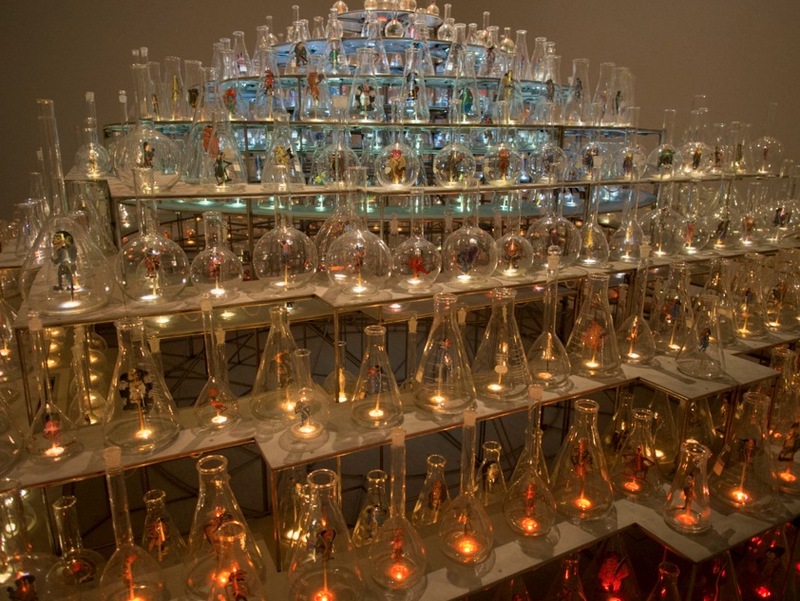 This installation is called ‘Between Worlds’ and it shows leather puppets (called wayang) in glass bottles. 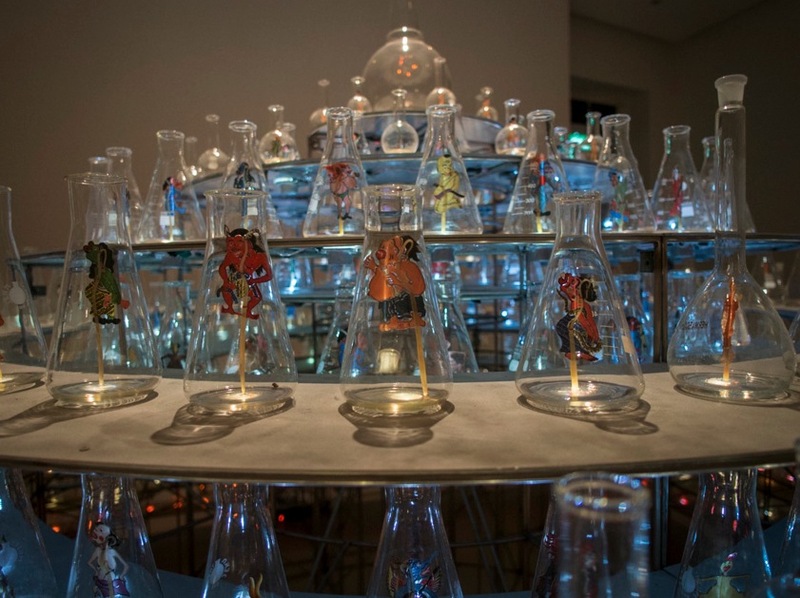 The artists, Nasirun from Indonesia, placed a cast of imaginary characters inside glass bottles and beakers. 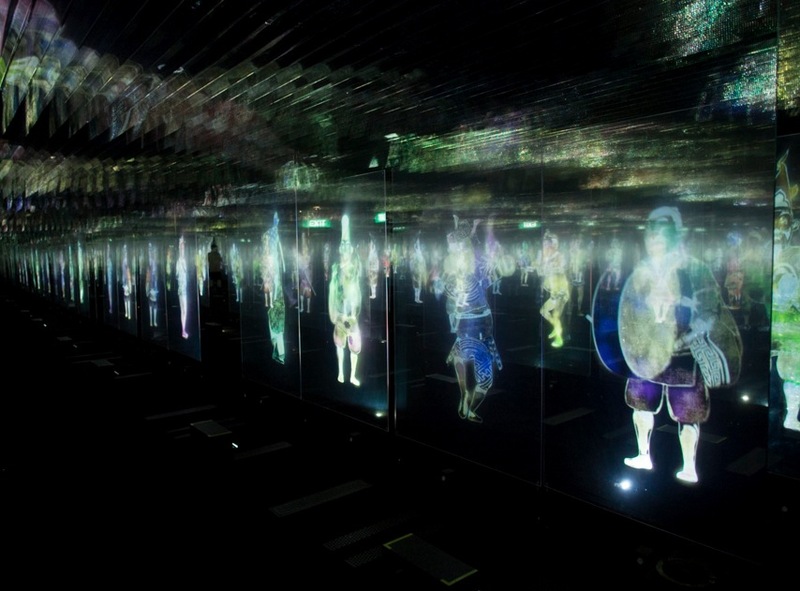 They are lit from underneath to mimic the effect of television, which the artist sees as ‘characters in a box’. The traditional wayang puppets had a similar role, they should entertain – and they certainly do in this unique way of presenting them! What is in the red room? It is a pile of saga seeds. Kumari Nahappan from Malaysia collected 4,000kg saga seeds to embody the idea of change. A seed holds the life-force of an entire tree in its tiny kernel! The installation is called ‘Anahata’ and it shows that the greatest power is that of pure possibility. 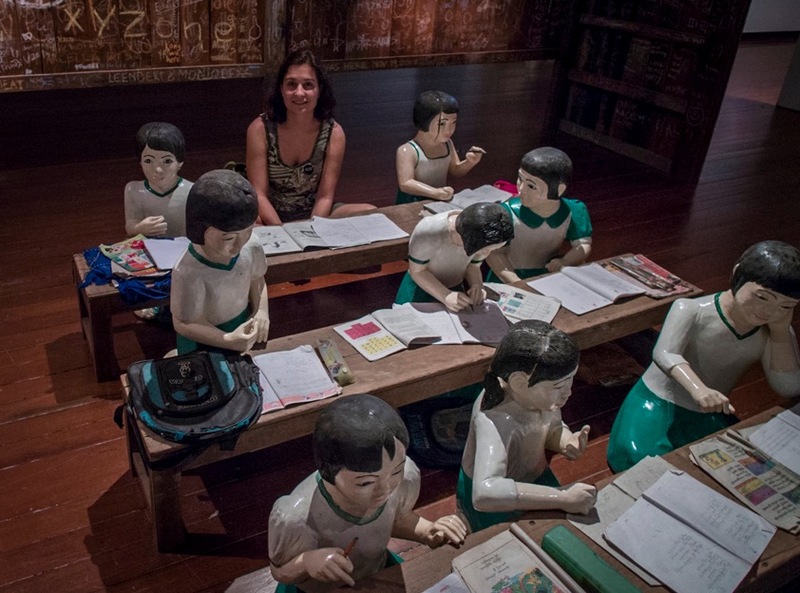 ‘The Sick Classroom’ is a replicate of a classroom in Myanmar. Artist Nge Lay uses it to show an individual’s foray into formal education. But it is not a happy story. Myanmar’s government has deployed its education system to regulate thought and behaviour. The artwork highlights the state of surveillance and expresses the artists’s concerns towards the uncertainty of the future. 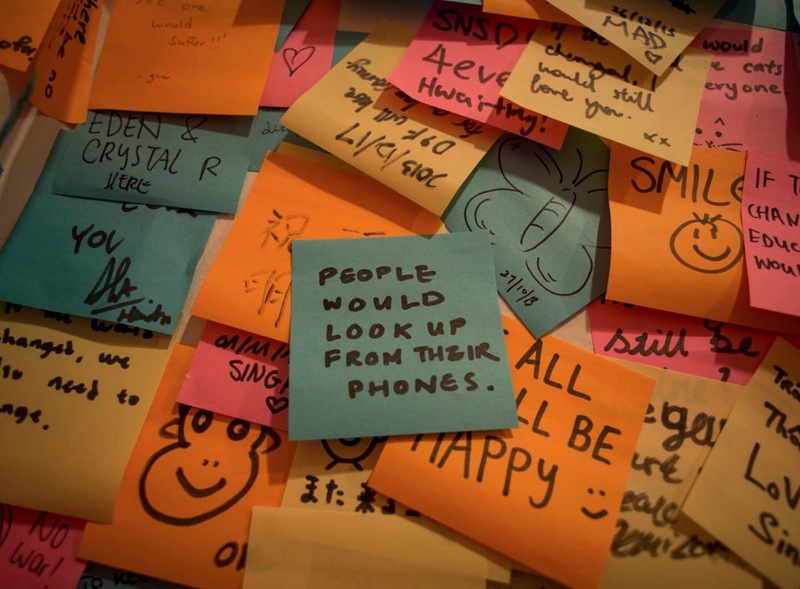 Visitors were invited to sit next to the statues and also to leave remarks in chalk on the walls. 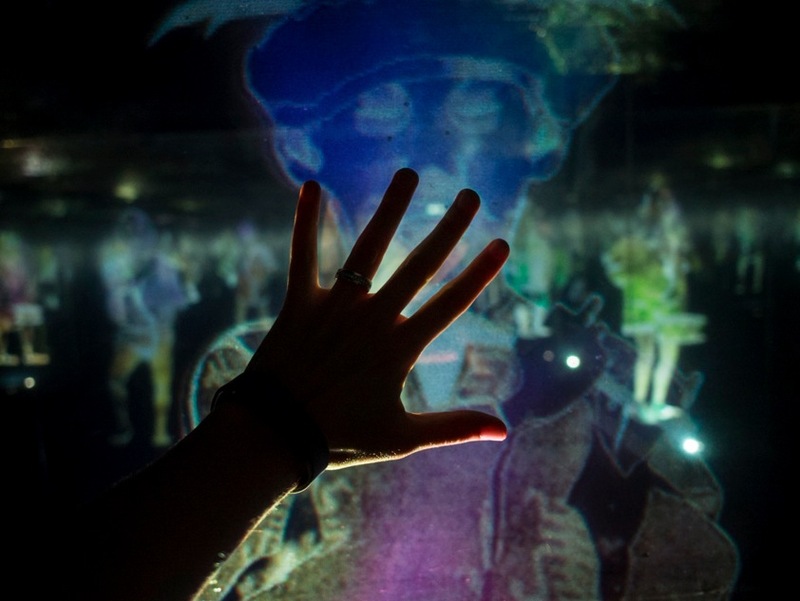 The most fascinating artwork for me was ‘Peace Can Be Realised Even Without Order’, which was an interactive, animated diorama (Iona Whittaker agrees with me on that, you can read here more detailed Singapore Biennale review here). You were walking through a dark room and motion sensors would set off a symphony of sound and movement. It was some sort of primitive dance and indigenous music – very captivating. You felt as if you were part of the dancers. Anja from Curly Traveller took a closer look at ‘Cosmology of Life’ by Toni Kanwa from Indonesia. Jaclynn from the Occasional Traveller looked at several artworks closer, including ‘Tiempos Muertos’ by Filipino artist Nikki Luna, which is sugar pressed in the form of diamonds. Evelyn and her kids also visited the show and she took some great pics here. 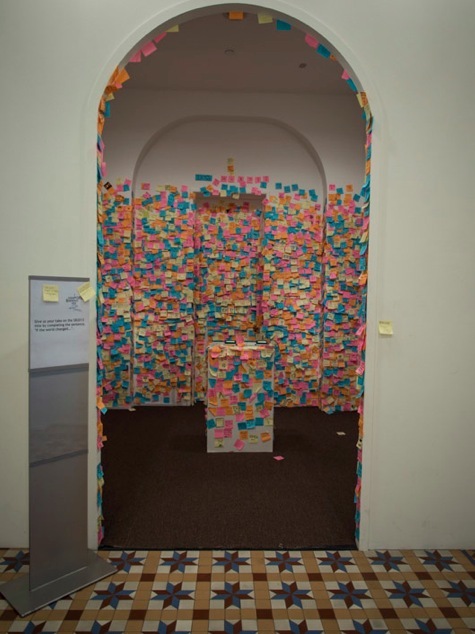 There was also an area for visitors to leave their thoughts on a post-it about the ‘If the World Changed’… it was interesting to read the different thoughts and ideas! Interesting article, Ruth, and thanks for the mention;-). I went yesterday to see all I had not seen yet. Everything was free during this last weekend of the Biennale. We saw a lot of great art! Lucky you – that sounds great! I only managed to see about 80% of the Biennale, so clearly 2 days was not enough to cover the grounds. But I’m glad that I saw so much. I can’t really say what was the best, all the different artists created some very interesting and stimulating works!